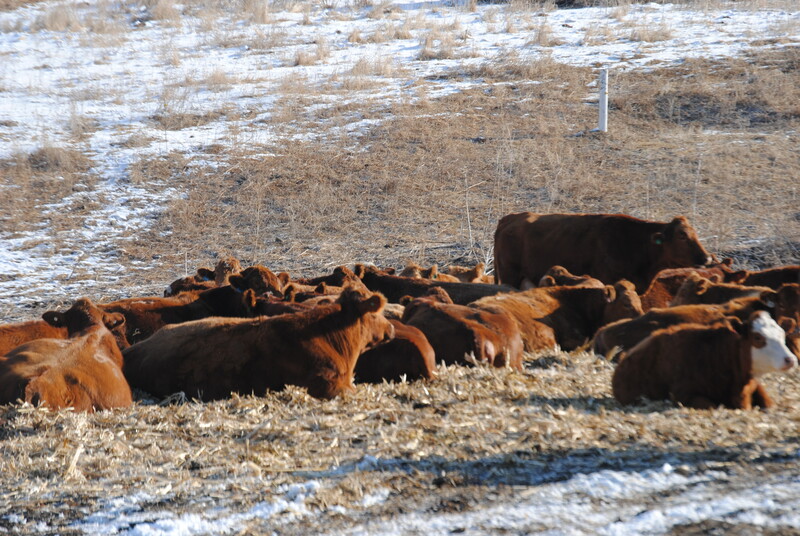 The cows, enjoying their straw bed on the fresh snow while waiting to calve. 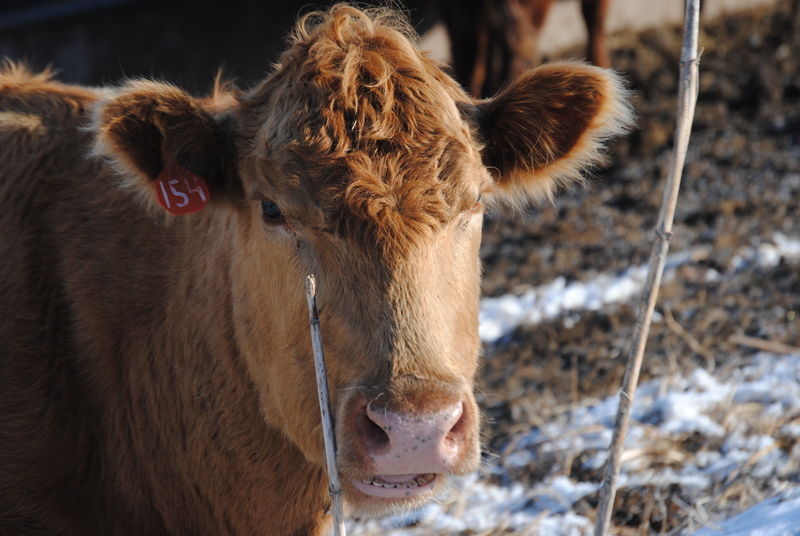 Cows are curious (and photogenic) by nature. Oh, that angle makes me look fat. You can't see me, I'm hiding behind this weed. 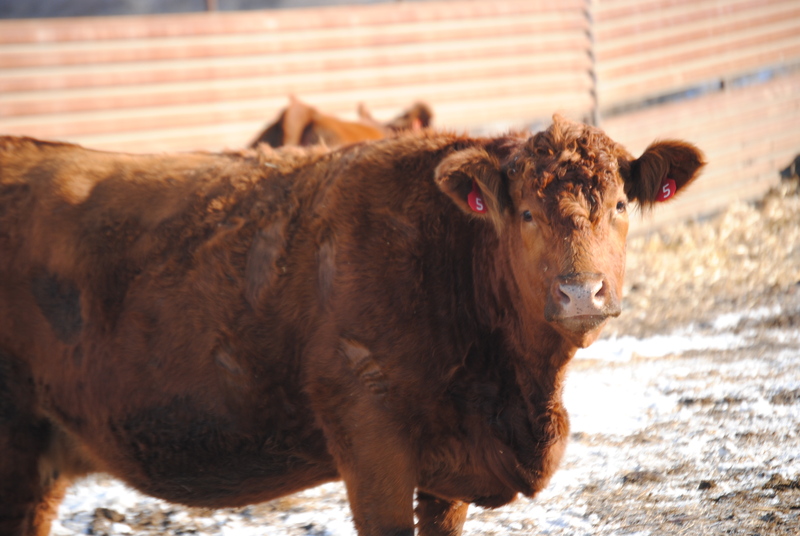 We’re not quite half-way through calving season, but the last few days have been very, very busy. But the weather has been wonderful, and everything is going pretty smoothly so far. 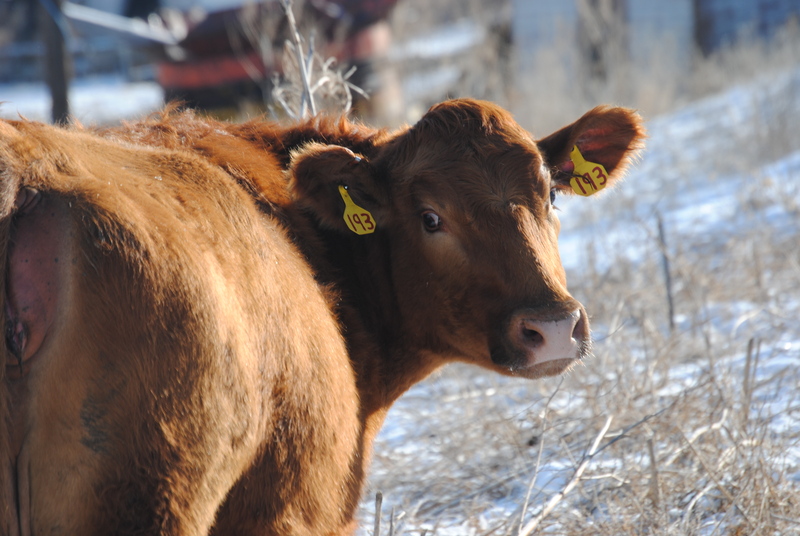 If you look back at the ear tags, you’ll notice that not one of the close-ups have the same color. Wonder why? Find out here! 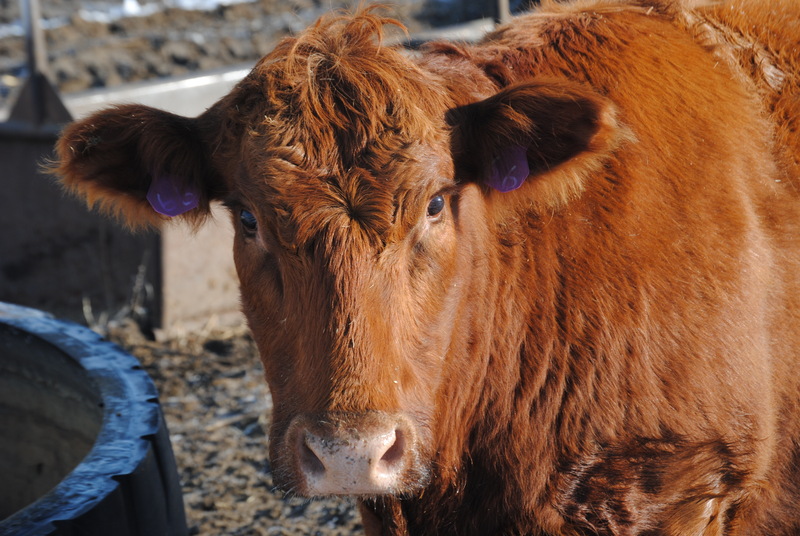 This entry was posted in Agvocacy, beef, Calving, Cows, Farm life, Winter, Wordless Wednesday and tagged agriculture, agvocacy, calving, cow facts, cow tags, cows, farm life, life on the farm by wagfarms. Bookmark the permalink. Glad to hear the season is going well and that you are getting good weather!